My good friend is stressful at work and I want to send her a relax gift, what shall I do? A friend’s birthday is coming but he is under great pressure recently, what gift can help him relax? Expresses love and concern with a brand new way of gift giving. This series of stress reduction articles will discuss three specific stressful situations for our readers. And talk about: identify your stress, stress relief ideas and relax gift giving. Before the exam, each candidate has his or her own expectation of what to achieve, as well as goals that parents and teachers want you to pursue. However, if the goals do not meet your own ability, you might end up working hard for something that you can never achieve; as a result, your anxiety and pressure increase. The solution: rather than pursuing a “mission impossible” goal, why not take some time to think of a practical one that you can achieve, and complete it step by step. By doing so, you not only ease your stress during the study, but also feel happy for every little step that you have achieved, thus gain more confidence to face the up-coming exams. It’s not uncommon for exam candidates to feel nervous about the test, and the everyday revision also takes up most of their time even for sports. Regardless of the situation, students can still find time to do exercises on the way to school, library or study room. It is a great time to get more fresh air, relax body and mind, and think more clearly. Those who cannot walk straight to the locations because of long distance can use transportation for one bit, and then the rest can be saved for walking exercise. When you exercise, your body releases chemicals called endorphins that will help you reduce pressure and ease depression. Some sports a day can keep the students awake and help them continue studying with positive attitudes. When we do the things we like, we feel happy and relaxed; but because of the time and pressure of exam preparation, many students give up their favorite hobbies like running, hiking and watching movies. Although to get good grades in the exam is important, learning how to balance your time is also an essential lesson in life. As the saying goes “Work hard and play hard”; when we study, we ought to focus and pay full attention; when we relax, we should try our best to get rid of all the pressure. Some people spend a whole day in the study room with their mind wandering around different things and could not focus on the subjects they study; so rather than wasting a whole day without any good results, why not spend a couple hours immersing yourself in the intense study, and then relax yourself completely- this will help you study more effectively and benefit more. What can family and friends do for the exam candidates? In between different exam sessions, family members and friends should avoid giving extra pressure to the students, if possible, encourage them to tell you their worries and concerns, listen to them carefully and do not blame them for their mistakes, especially the ones that they made in the previous exams, instead, try to focus on their promising future plans. At this particular period of time, parents should try to spend more time with their children, observe their physical and mental situation and make adjustment in time. Besides, parents also need to pay more attention to students’ nutritional needs and provide nutrition food for them according to their condition, so that they can take part in the exams energetically. Everybody loves receiving gifts; the ones that are working hard for the exams are no exception. Even though they didn’t mention it, deep down in their heart they really hope that someone will understand them and help them. 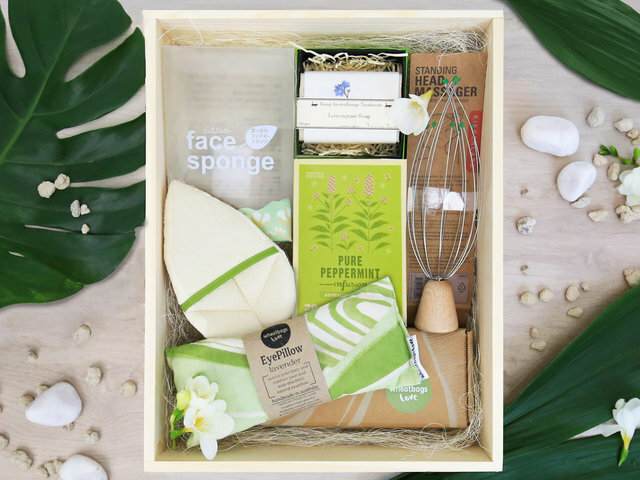 Friends and family might not be very helpful in terms of the examination, but they could show support from another perspective, that is, to send the candidates a relaxation gift basket. Exam candidates are under a lot of pressure and cannot sleep very well. Why not send them a stress-free gift box with Herbs Sweet Sleeping Drink, eye pillow and fruit juice to soothe pressure, add nutrition, ease tension and improve sleep quality. Students use their brains very often for the exam revision, therefore to give them a relax gift set with head massager, face sponge and shower spa set is the best guidance for relaxation. Not only do the test candidates need material assistance, something encouraging and comforting is also important. An encouraging gift basket with preserved flower arrangement, small plant and handmade card with the most sincere best wishes is sure to boost up the students and give them motivation to move on. After discussing about how to help exam candidates reduce pressure and what relax gift to give them, we will continue to talk about another two articles of stress relief.